Typically, visits are made on a school field trip. Or they are hold-my-hand afternoons for toddlers and their patient parents. But Elmwood Park Zoo goes to great lengths to engage children and their families concurrently. The animal encounters, educational programs and special events are designed to be entertaining for both kids and their parents. This openness is a daily part of the zoo experience year-round, except for one evening, when the zoo becomes adults-only: the Beast of a Feast fundraiser, which is scheduled this year for June 20 at 6 p.m.
For the fifth edition of this gala, the pathways that weave throughout the zoo&apos;s 80-acre footprint will offer not only animal adventures but also culinary ones. The 2015 Beast of a Feast celebrates the rich culinary opportunities available across Montgomery County. The party&apos;s organizers (including the VFTCB as event partner) have combed through the area&apos;s cuisines, menus and culinary outlooks and invited those restaurateurs who consistently plate the best of the best. Chefs from 20 well-known kitchens will be onsite, offering bits and bites that showcase everything from the grilling expertise of The Capital Grille to the sumptuous seafood of the new Bonefish Grill to the pastries and coffee from the urns and ovens of Norristown&apos;s Jus&apos; Java. Best of all - and don&apos;t tell the kids - the zoo&apos;s full menagerie will be on display. Elmwood Park Zoo&apos;s newest exhibit is a trio of red pandas who are sure to attract crowds all summer long, as watchers press their noses up against the display to see their charming antics. The pandas, natives from Himalaya, came via the Smithsonian Conservation Biology Institute in Virginia, rescued from the wild when they were orphaned. They are on the cusp of their first birthday and are as playful as they are cute. Beast of a Feast attendees will have the advantage of enjoying their frolicking at a more relaxed pace than during typical operating hours. These three fuzzy fellows - Clinger, Slash and Shredder - sport amber-tinged fur with white faces that make them look even more curious than their behavior suggests. The masks reveal a pedigree more related to raccoons than what people picture: that is, giant, black-and-white pandas. But the zoological classification of panda comes from the bamboo diet. They are surprisingly agile, scaling trees in their enclosure to eat berries. They&apos;re also somewhat into slapstick comedy: The handlers have reported several cases where one will climb out on a limb, bending it toward the grass with his weight, and then step off, springing the branch back to slap a hapless staff member Three Stooges-style. 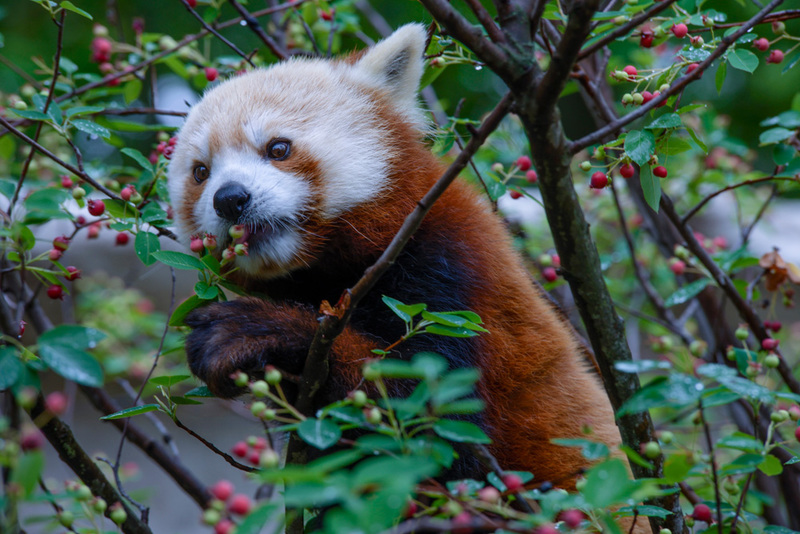 The red pandas are only one of a number of reasons to snag a ticket to Beast of a Feast. Animal fans may also take advantage of the opportunity to hand-feed a giraffe or a giant buffalo, as well as visit the usual denizens of this Norristown staple: bald eagles, owls, bighorn sheep, capybara, and more. Still drawing fans on a consistent basis are Inka and Zean, two jaguars who came to the zoo in 2014. These sleek felines are being housed in a temporary habitat until a new home can be built for them, to be called "Majestic Predators: On the Trail of the Jaguar." The zoo&apos;s "Birds of Paradise" encounter is also an option for attendees. Once guests enter this enclosed area, they can feed Sun Conyers, small, tropical, multicolored birds that will come and perch on an arm or shoulder to feed. It&apos;s a selfie moment for sure, especially if one of these charming fellows decides to land on your head. A silent auction is also part of the fun. All proceeds from Beast of a Feast directly support the zoo&apos;s conservation and education initiatives. "The Valley Forge Tourism & Convention Board has partnered with Elmwood Park Zoo numerous times in the past, and it is always a pleasure," says Vice President of Marketing and Communications Ed Harris. 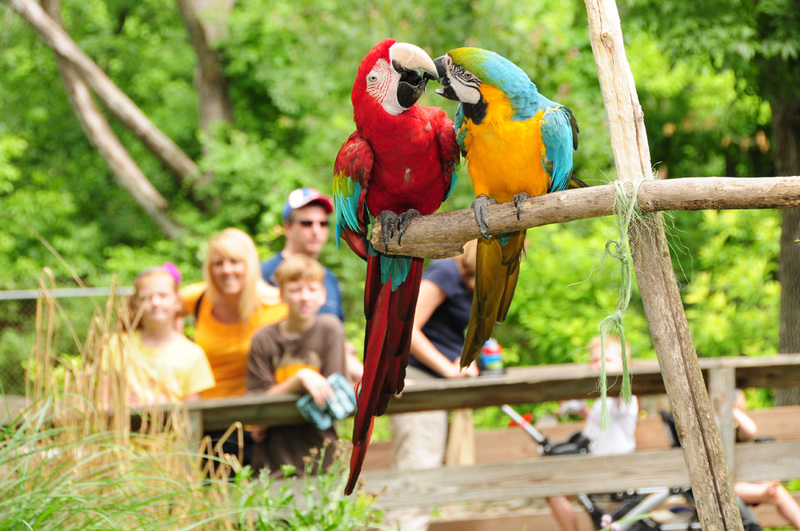 "The zoo may be more than 90 years old, but it is constantly reinventing itself as a premier destination in Montgomery County for family fun, adventure and education. We are excited about this year&apos;s theme to celebrate our local restaurateurs; many of our local towns and boroughs are developing interesting and exciting culinary outlooks, and it&apos;s great to see Elmwood Park Zoo gather them all together in a grand celebration." After you&apos;ve had a wild time at Beast of a Feast, maybe it&apos;s time to search out a "nest for a rest." Should you want to turn the Elmwood Park Zoo party into an opportunity for an overnight, our website has ample recommendations for hotels and other accommodations.